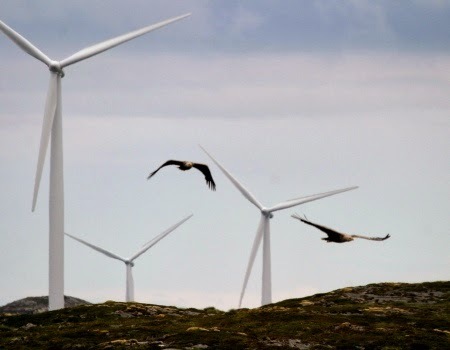 Rules of the Jungle: Why do eagles fly into wind turbines? The eagles fly into wind turbines simply by accident. The new wind turbines are sometimes placed on high grounds, where the wind blows for the entire duration of the year. Those are the same grounds liked by eagles, because of the same reasons. The eagles like to use the wind currents to fly faster, and sometimes, those currents drive then straight to the turbines. The number of eagles killed by turbines has grown dramatically, forcing the authorities to take some measurements to protect them.